Posted on May 21, 2013 by Veronica Nkwocha •	This entry was posted in Poetry and tagged Africa, africanliterature, Art, Chinua Achebe, Igbo people, Iroko, Literature, Nigeria, Poem, Professor, Things Fall Apart, Wole Soyinka. Bookmark the permalink. 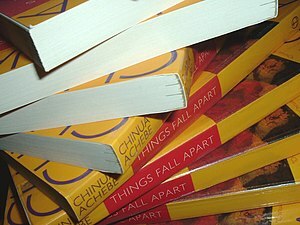 Pingback: Dedicated to a fallen Iroko- “Chinua Achebe”. | Words from the Pink's layer.